An expertly crafted work of reportage, memoir, and biography on the subject of loneliness told through the lives of six iconic artists, by the acclaimed author of The Trip to Echo Spring. You can be lonely anywhere, but there is a particular flavor to the loneliness that comes from living in a city, surrounded by thousands of strangers. 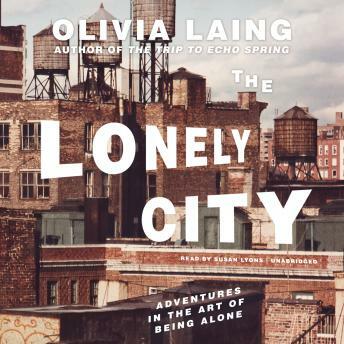 The Lonely City is a roving cultural history of urban loneliness, centered on the ultimate city: Manhattan, that teeming island of gneiss, concrete, and glass. What does it mean to be lonely? How do we live if we're not intimately involved with another human being? How do we connect with other people, particularly if our sexuality or physical body is considered deviant or damaged? Does technology draw us closer together or trap us behind screens? Olivia Laing explores these questions by traveling deep into the work and lives of some of the century's most original artists, among them Andy Warhol, David Wojnarowicz, Edward Hopper, Henry Darger, and Klaus Nomi.